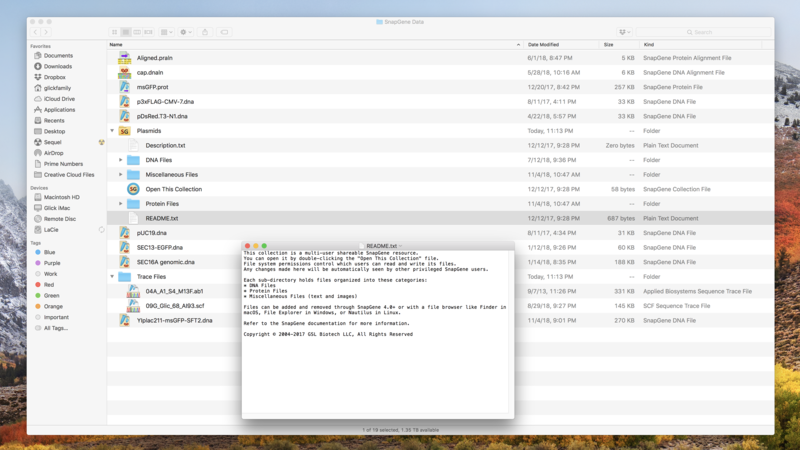 SnapGene lets you read and share files as you choose, while maintaining full control over your data. Keep your SnapGene files where you want them. Use the familiar, secure operating system of your computer to store and organize your SnapGene files. Read many common file formats. 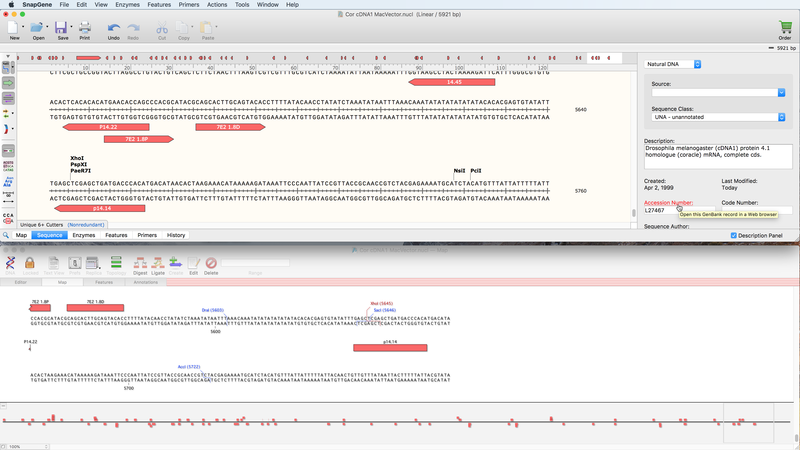 Import not only DNA sequences, but also feature annotations and notes. We are continuing to develop importers to ensure that you are not locked into a proprietary file format. Convert a sequence, map, or gel image to standard formats for use with other software. Export a sequence to GenBank or FASTA format. Export a map or simulated agarose gel to common image formats. 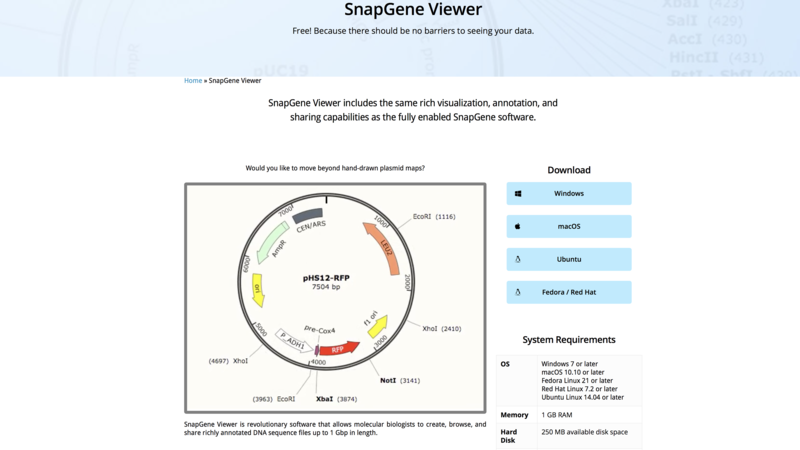 Send files in SnapGene format to colleagues or customers, who can download the free SnapGene Viewer. Simply send a file together with a link to SnapGene Viewer. 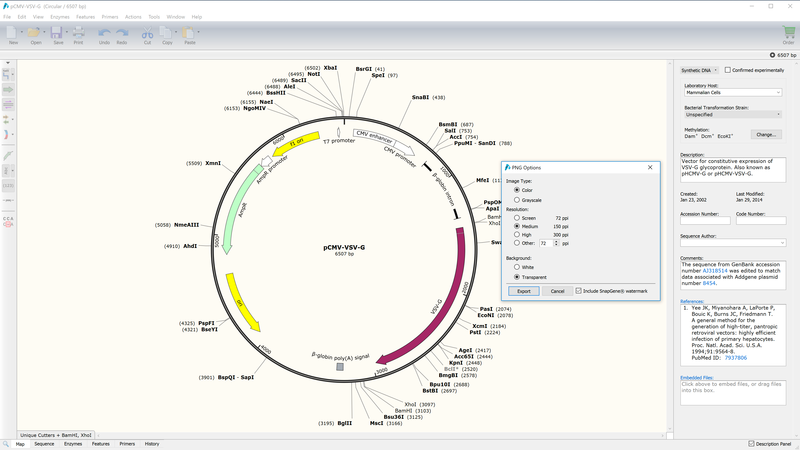 The recipient will be able to see the map, sequence, and annotations, just as in the full SnapGene interface. To incorporate SnapGene into your data analysis or lab management software, please contact us for information about how to read and write SnapGene files.